White-styled icons (up to 256x256) for some Adobe software. The letters' colors are the original icons' backgrounds. 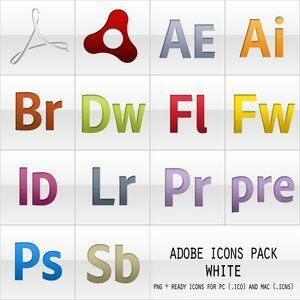 "Adobe Icons Pack - White" is in these categories. You may find your favorite articles in these categories.